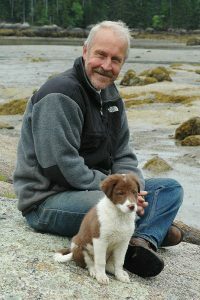 Bob King-Lovelace, partners in adventure with Arleen, is recently retired from being crowned the most interesting man in Maine – like the T.V. commercial! First and foremost an experienced outdoorsman with years of experience, Bob is also a certified thru hiker on the Appalachian Trail, sustainably manages an organic farm and 40 acre woodlot, and wows his groups with his master of music and song. Most recently he serenaded our walking group on the Coast of Maine, making them all wish they could stay for another week just to hear him croon. If you’ve ever wanted to walk in Ireland, Hawaii, or Maine, or horsepack the High Sierras in California, make sure you ask for Bob!